During Lucinda Means Bicycle Advocacy Day on May 21, Michigan cyclists and their advocates requested a hearing on HB 5438. Not only did a hearing take place, but after testimony from the bicycling and motorcycling communities, the bill was voted out of committee, and now awaits a house vote. The bill currently has 74 co-sponsors. This legislation is important for a number of reasons. As more individuals turn to bicycling as a means of transportation, drivers must become more cognizant and respectful of their presence, as bicyclists have an absolute right to use public roads in Michigan. Bicyclists must also be aware of the motorists they encounter, doing everything they can to make sure they too follow the rules of the road. The number of motorcyclists on the road is also increasing, as spring comes to a close and the summer months approach. Too often we hear stories about motorcyclists and bicyclists sustaining severe injury, or worse, because of motorists who fail to observe their surroundings before making their next move. 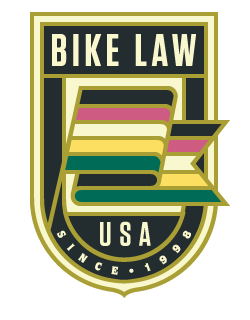 Including more information about bicycles and motorcycles and how they legally operate on Michigan streets in drivers’ education courses may also go a long way to combating the unwarranted stereotypes, hostility, and abuse both bicyclists and motorcyclists face while on the road. The passage of HB 5438 will be a step in the right direction. We will keep you updated on its progression through the legislature. UPDATE: This afternoon, HB 5438 passed unanimously! Although we’ll wait to see what happens in the Senate, this victory should be celebrated. Take a moment today to contact your representative to thank them for supporting this important bill. A version of this post can also be found on BIKELAW.